The Pallet House: Reclaimed pallets can be used for constructing shelters, cabins, and homes. Building a pallet house from reclaimed pallets is an inexpensive way to build your off grid home or cabin. Get out there, get some pallets, build something! The Pallet House prototype designed by I-Beam Design was featured in HRH Prince Charles’ Royal Gardens as part of an exhibition on sustainable design, organized by Prince’s Charities, Start, along with The Earth Awards, The Financial Times and IBM. The interior was decorated by Wallpaper magazine. 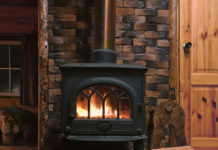 Previous articleAbsolutely Stunning Log Home! My friend Stacy Myers has beautiful pallet furniture that would be stunning in this place. I really need to add this to the list of things I will never get done in this lifetime.